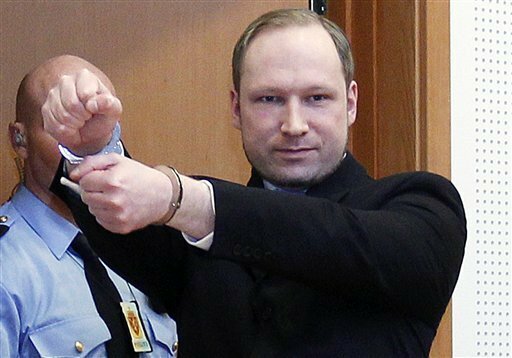 Mass killer Anders Behring Breivik is sane and he is sentenced to 21 years in prison, a Norwegian court has ruled today. Anders Behring Breivik admitted killing 77 people and wounding more than 240 others when he bombed central Oslo and then opened fire at an island youth camp last year. The killer insisted he was sane and refused to plead guilty, seeking to justify his attacks by saying they were necessary to stop the “Islamisation” of Norway. The five judges were unanimous in ruling that Anders Behring Breivik was sane. They gave him the maximum sentence of 21 years, but that can be prolonged at a later if he is deemed to remain a danger to society. Court-appointed psychiatrists disagreed on Anders Breivik’s sanity. A first team which examined him declared him to be a paranoid schizophrenic, but the second found he was sane. Before the verdict, Anders Breivik said psychiatric care would be “worse than death”. Anders Behring Breivik carried out the meticulously planned attack in July 2011, wearing a fake police uniform, and methodically hunted down his victims. He accused the Labour Party of promoting multiculturalism and endangering Norway’s identity. Some victims at the Labour Party youth camp on Utoeya island were shot in the head at point-blank range. Ahead of the verdict, security barriers were put up outside the district court in Oslo. A glass partition separates Anders Behring Breivik from relatives of victims in a courtroom custom-built for the trial. Remote-controlled cameras are filming the proceedings, sending the images to courtrooms around Norway where other relatives can watch the hearing live. Anders Breivik’s trial, which began in March, heard graphic testimony from some of the survivors of his attacks. Mohamad Hadi Hamed, 21, who is now in a wheelchair, told the court how his left arm and his left leg were amputated after he was shot by Anders Breivik. Another survivor, Einar Bardal, 17, described how he was trying to escape when he heard a loud bang, followed by a loud beeping noise in his head.